This white paper sets out to make the case that ROI determination can be approached in a unified, structured and straightforward way. It also lays out a framework for expanding the definition of ROI and increasing organizational maturity for measurement and monetization. 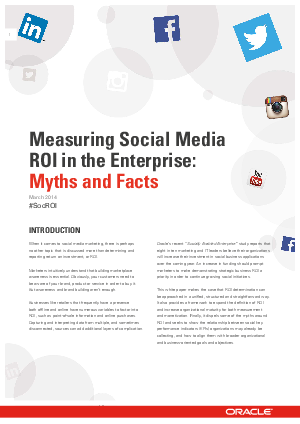 Finally, it dispels some of the myths around ROI and seeks to show the relationship between social KPIs organizations may be collecting today and how to align them with broader organizational and business-oriented goals and objectives.